‘EFT represents freedom – freedom from years of self-doubt, from grief, from anger or negative emotions attached to memories; freedom to earn more money, make cold calls, start that new business, improve your golf score, and lose that weight; freedom from intense fears – phobias, anxiety, panic attacks, depression, or guilt. EFT represents the freedom to express love more easily and to walk on this planet with confidence and grace’. So, it is a technique for eliminating both emotional and physical problems. 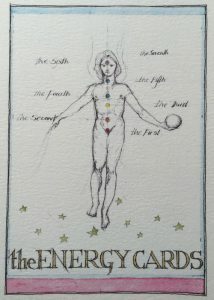 It involves tapping on meridian points (as in acupuncture) on the upper body in order to relieve disrupted energy leaving the energy flowing easily and naturally. EFT is non-invasive, quick, effective and painless. It is easy to learn and almost anyone can have immediate results. Change unwanted habits and behaviour including limiting self-talk. Anyone who uses it to have greater emotional control, inner peace and effectiveness in the world. Release physical and emotional pain, stress and anxiety. It does all these things really quickly, often in minutes. This easy and elegant technique is often referred to as ‘acupuncture for the emotions’ or ‘a quick, easy technique for relaxation’. It is suitable for use with anyone from young children through to the elderly and animals. Emotional freedom Techniques was brought to the world in the early 1990’s by Gary Craig, Engineer and Performance Coach. Gary trained in TFT (Thought Field Therapy), a technique developed by Psychiatrist Dr Roger Callahan. Gary refined and developed the technique into what became EFT and set out to bring this incredible healing tool to the world. This he achieved. Thousands of Doctors, Health care Practitioners, Healers and lay people across the world now use this extraordinary technique. In the UK alone, it is being tested in our National health System as a treatment for PTSD (Post Traumatic Stress Disorder) with wonderful results. Penny is based in St Margaret’s between Twickenham and Richmond-Upon-Thames in South West London. She works with clients locally, Nationwide and Worldwide via Skype or telephone and also face to face. Penny Waite is an ADV Level 3 AAMET Accredited Practitioner, Trainer and Supervisor. She says “My EFT approach is unique, yet is based on core EFT principles and I have been using this technique for over twelve years. During that time, I have witnessed extraordinary and moving healings from the release of blocks, limiting thinking and negative emotions through to physical pain and depression. A client will often feel immediate results. I have huge amounts of experience and am highly skilled at getting to the root of the problem. I am trained through AAMET and a Master Trainer and Supervisor myself. As with anything, there is an ‘artistry’ to EFT which comes with time, dedication and talent. Beginners can learn the basic techniques by themselves as a way of getting started, although I advise you to start by experiencing EFT in an environment that enables you to see how it’s done properly. You can do this either in a one on one session or in a group setting”.